Three months ago I reached the final point of my program. Still a global trainee, I get to spend my last rotation gradually assuming responsibilities of my target position of data scientist at Big Data squad of DSS. In addition, as a side project that lately managed to consume most of my time, I joined a team that works with organizing one of the most important internal conferences we have in the group – an area just as natural to Lisa Barrehag as it was out of my comfort zone. I think that was exactly what People & Organization had in mind when sending me on this quest. Nonetheless, conferences aside, my main responsibility at the moment is the analysis of IoT data that we gather from our connected products and digital services: Gardena Smart System, Husqvarna Fleet Services and Automower Connect. I believe that each of these solutions constitute a compelling offer to our customers, unmatched by anything our competitors have in stock. I also share the vision with my colleagues that there is even greater value to be unlocked from our ability to measure exactly how our products are being used and how they are performing in the field. If we ask the right questions, this data can help us make better design decisions when developing new products, we can be much better in anticipating customer demand and act proactively addressing our clients’ needs before they get a chance to articulate them. Our connected products and digital services: Gardena Smart System, Husqvarna Fleet Services and Automower Connect. I would like to say that we are the first to realize the potential, but that would simply not be true. Look in your pocket and you will find the most recent example of how data analysis done right can accelerate the progress. Yes, I mean your smartphone. The statistics about each action that you take, each button press, each application crash or unused feature is being collected by the manufacturer (unless you happen to be German and simply don’t share your data). This is why just in a few years we made a giant leap in phone cameras and screens and why every phone manufacturer is working hard to remove unnecessary hardware buttons and ports. Useful gets enhanced and waste gets abandoned, leaving a device that should now be called anything but a phone. Now we can see how similar change is happening to the products that just a couple of years ago seemed to have reached their evolutionary peak: refrigerators and washing machines, TVs and sound systems, water heaters and meat smokers, coffee machines and even light bulbs can now get connected and smart in the way that makes sense the moment you see it. The bar is constantly raised and I am looking forward to seeing the progress that we will make in the following years, with Husqvarna Group taking the lead in the forest, garden and on the construction site. This will involve a tremendous change in how we do business on every level. Looking back at the last two years I can see that change is happening already and it’s difficult to overestimate which role we as Global Trainee Program graduates will get to play in driving it. I know mine. Let’s get done with the talking and do some data science! 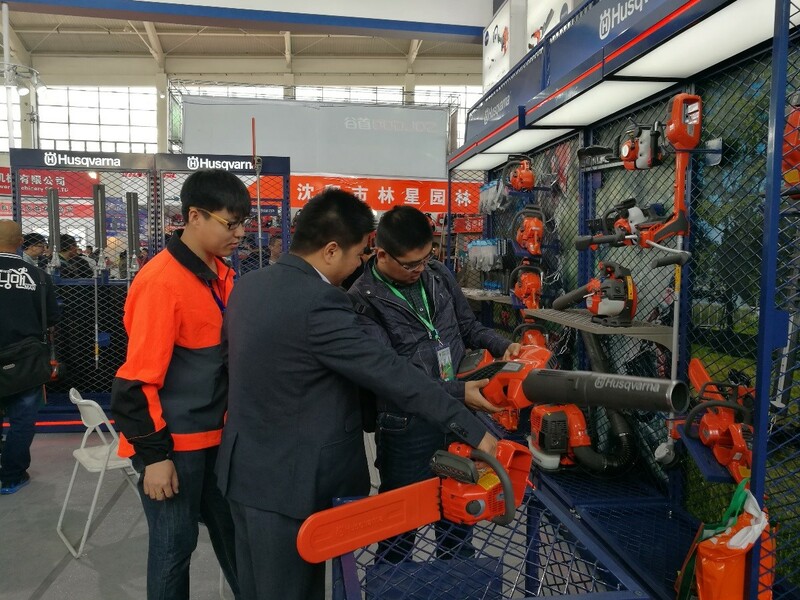 As written in the previous blog entry, we participated in an expo in Beijing in May where we showcased our products and promote our brand to customers and potential partners. 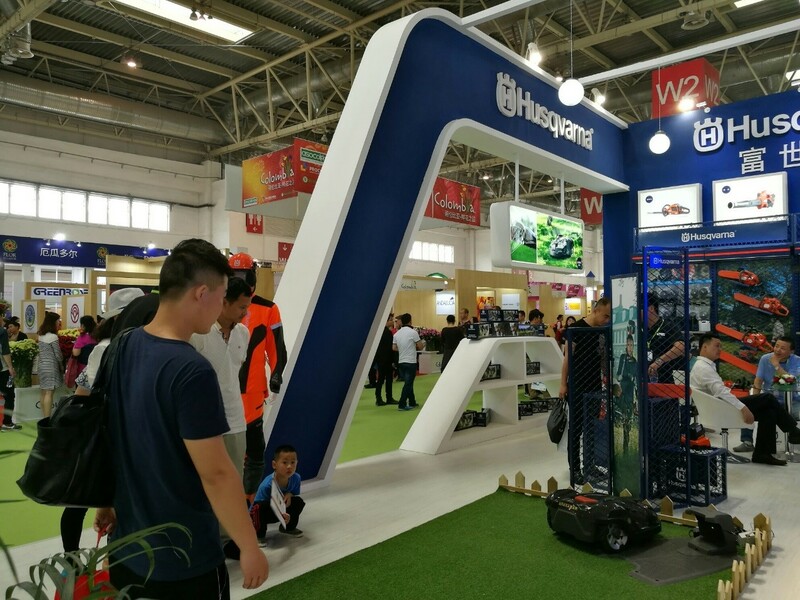 Besides the traditional petrol and battery handheld products, this time we also displayed our Automower®, which is new to the China market. My job title was not a ‘Sales Representative’, but on that day I was selling the Automower® to foreign visitors from Brisbane and Amsterdam. They were very curious about the product and would like to put one in their own garden. I provided them with the address of dealer shops near their homes and hopefully they will pay a visit to our dealer shop when they return to their countries. I was nervous at first of being a sales person but later on I became more confident in answering visitors’ questions and explaining the values of what we could deliver to them. This was the first time I found myself having a strong interest in Sales and Marketing, which may lead me to my target position after the Trainee Program. Visitors were interested in the demonstration of our Automower® in The 18th Hortiflorexpo IPM, Beijing. Working beyond the job description may seems difficult at first but there are always some surprising outcome afterward. However, sometimes we are to focused on our own responsibilities, as written on the job contract, but forget about exploring more learning opportunities to challenge ourselves beyond our job. 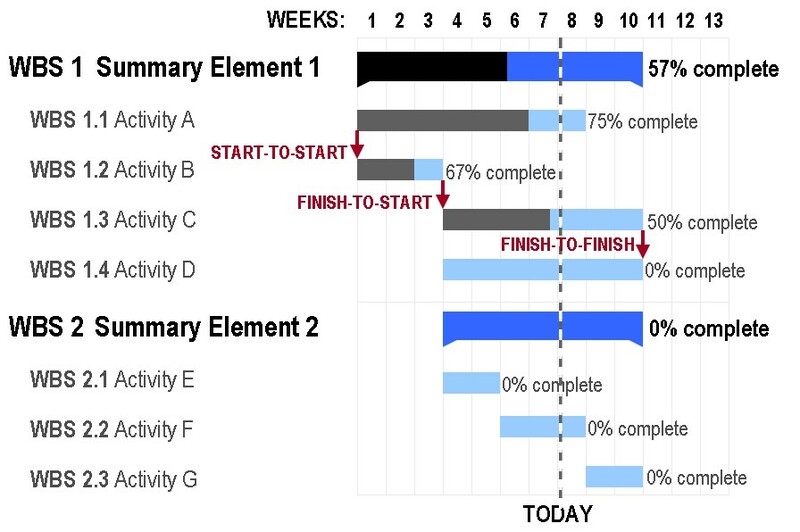 When I was working in Factory quality, I spent a lot of time on process improvement with Lean methodology, as suggested in the assignment plan. But looking back, if I had the chance again, I would have spent more time on Product quality improvement, using the similar ways of problem solving. I would have gained more knowledge about our products. 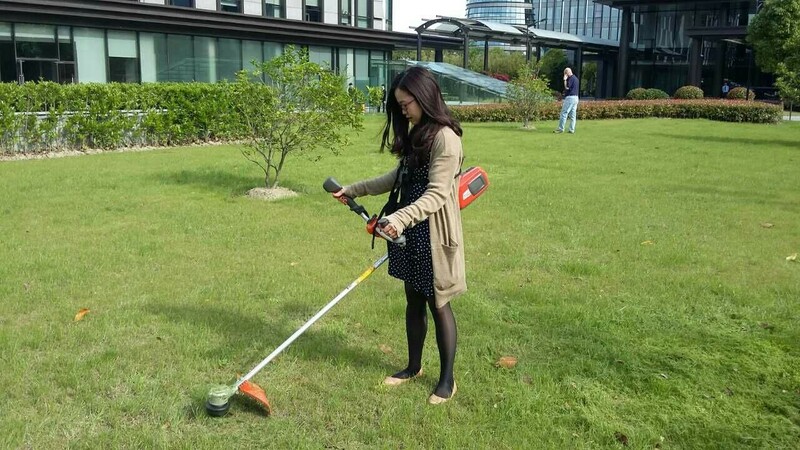 Lois trying the battery trimmer which will be launch in China market in the near future. Lucky enough I got another opportunity. 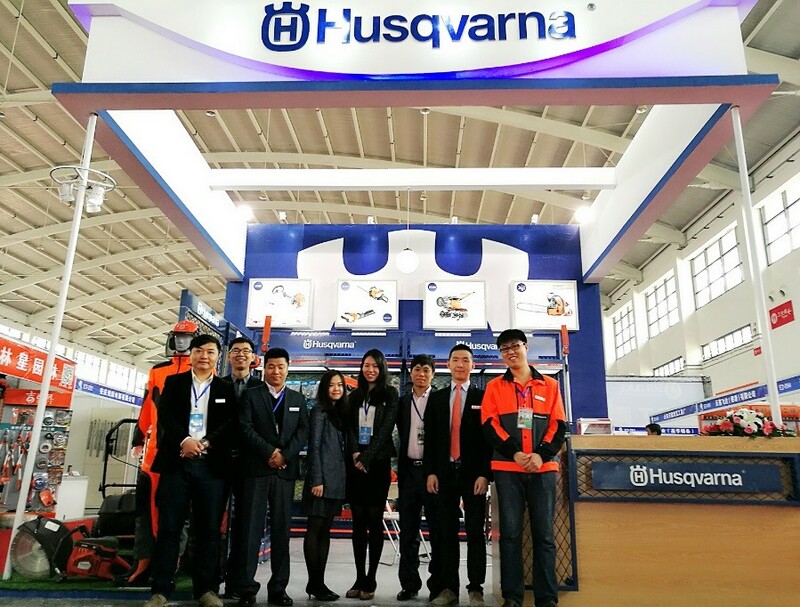 I helped to interpret in the Small Off-Road Engine Evaporative Emissions Regulations Summit hosted by Husqvarna China Sales team while I was working in Factory Operations. It took me a lot of time to study the engineering details in Chinese and English. The learning process was tough but that knowledge helped me lay a great foundation on products for my future assignments. In the Shanghai office I am also a part-time trainee for Business English. We had regular meetings of English Corner and formal English Email writing training. This is another way for me to contribute to the company beyond my responsibilities. 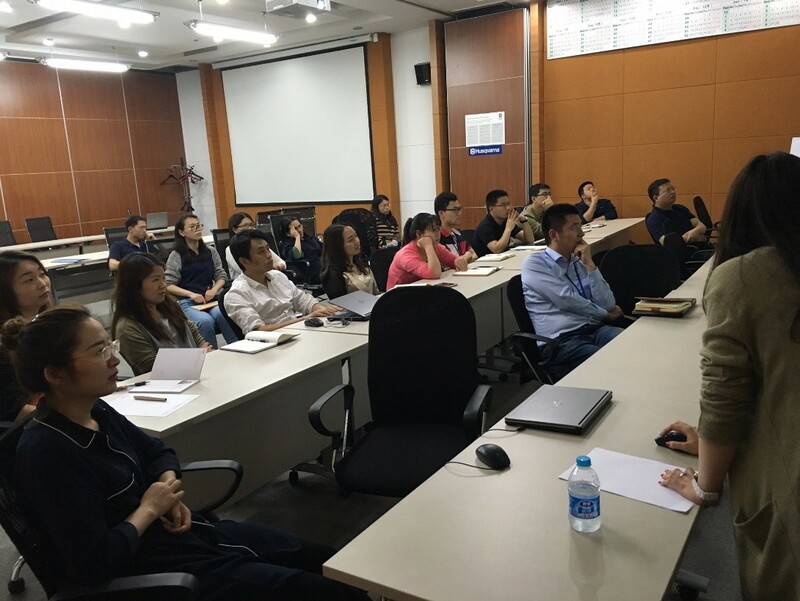 Recently I was invited to Changzhou factory to deliver a training. I met a lot of new colleagues, most of them I had never worked with before. From these training experiences I have discovered my interests in public speaking and training, and I have also expanded my network outside of my usual workmates. This extended network has been a great help for work. During the Business Email Writing training in Changzhou factory. There is a famous quote from Steve Jobs, ‘You can’t connect the dots looking forward; you can only connect them looking backwards. So you have to trust that the dots will somehow connect in your future.” Sometimes the task assigned may seem very unusual and out of your comfort zone, but it can always lead to something rewarding in the future. Next time when your supervisor asks you to work beyond your job description, take full advantage of the opportunity to learn and grow as much as possible. There is just too much to experience and I believe the experience now will reap rewards later. It is with mixed emotions I tell you that my time as a trainee is soon coming to an end. It has been a fantastic journey for me, providing me with the opportunity to try and learn tons of new things and also to meet so many intelligent and nice people. Since this will be my last blogpost, I would like to take a moment and summarize the major things I have learned and experienced during my four assignments. Assignment 1: Commodity Manager Rubber & Gaskets – I was responsible for the day-to-day contact with around 20 suppliers, something that helped me develop my negotiation skills and business mindset. I also learned about problem solving and the importance of being able to take quick action. Assignment 2: Project Sourcing Electric – I got to experience the early phases of a new project and learn how to collaborate and keep close contact with R&D. During this assignment I also started up a couple of benchmark projects which both gave me more technical insights, as well as a better understanding for how to find, assess and discuss with potential suppliers. Assignment 3: Supplier Development Asia – in addition to giving me a better understanding of our Asian supplier base, this assignment actually also provided me with more knowledge about production since I got to visit many suppliers and learn about their processes and how to assess a plant. Moreover, since it took place in China and Japan I got to experience a lot of cultural differences and gained a better understanding for how to interact with people from different backgrounds in business situations. I also got to project lead the organization of Asia Supplier Day which was quite a challenge, especially considering the language barriers involved. Assignment 4: Brands & Marketing Automower – this assignment (which I´m currently on) has given me a chance to see the other side of the business and to gain a better understanding for the end customer and our finished products. It has also taught me a lot about how to tailor a message depending on who the target group is. So even though I will go back to Sourcing in September, I feel confident that the knowledge I gain in marketing will benefit me in my future role as well. Between these assignments we have of course also had training modules which has taken place in Sweden, Germany, USA and China. The training modules have taught me a great deal, not just about the Husqvarna Group business but also about soft skills such as personal accountability and presentation skills. So, looking back at what I just wrote, I realize now that this pretty much looks like a resume. Well, I guess you can say that when you can fill up a resume after a two year’s work experience, that’s a pretty good grade for the Husqvarna Group global trainee program. I think that one of the best parts about the program is that I really have been able to work actively and take responsibility in each of these areas, not just walk side by side with someone else and watch them do it. I must admit that I was a bit worried in the beginning of my trainee time, everything seemed so difficult and hard to grasp. However, overcoming these challenges has made my confidence grow a lot and today I am very thankful for being challenged so strongly from the beginning. I must also say that one thing I appreciate a lot about Husqvarna Group as a company is the culture. In almost all the areas and departments I have come in contact with, the culture has been very open and including and people are really allowed to be themselves. For me, it is exactly a down-to-earth and friendly culture like this that motivates me to perform my best. I think that if you try to form people to fit into a certain model, you won’t be able to take advantage of their own unique capabilities and skills. You might of course need to adapt your behavior (and appearance) to different business situations but that’s another thing in my opinion. Finally, I cannot stress enough how lucky I have been with all the managers I have had the opportunity to work with during my four assignments. Staffan, Jonas, Paul, David, Tarun, Ingrid and last but not least Göran, have all been amazing managers and a very great support for me. 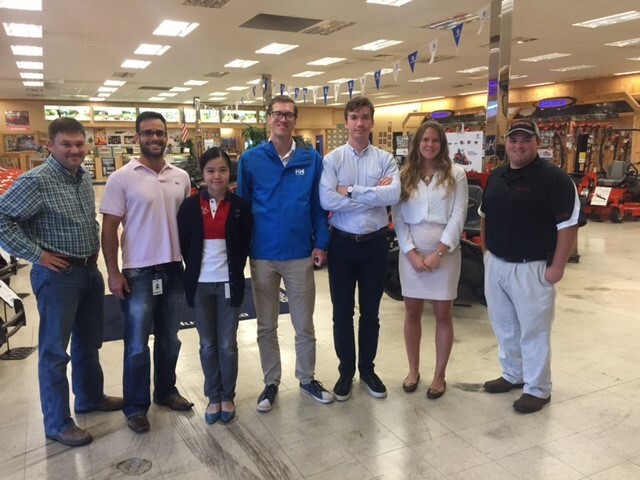 And then there are of course a ton of other colleagues from many different countries who have made my trainee time at Husqvarna Group an unforgettable experience. Thanks to all of you who might be reading this! Now I have a couple of months to go on my last rotation in Brands & Marketing and then I feel very motivated to start my permanent position, which will be within the Sourcing Electric team (back to assignment 2 again! ), a very exciting and fast growing area indeed. Congratulations to all the new trainees starting this August, you are up for an exciting time! I’m currently working in the Product Quality function and one area that I have been investigating is lessons learned. One common problem within most organizations is knowledge management and how to improve it e.g. how can we learn from past mistakes so that we do not repeat them and spread best practice from successful projects. Since I will soon finish my two year trainee program I want to document and share my own lessons learned in this blog post so that you as a presumptive trainee can learn from my past experience. Before I start it should be noted that with knowledge I make the distinction between tacit and explicit knowledge. Tacit knowledge is something that comes from experience and that you have to train or practice in order to become better at. Take for example learning how to ride a bicycle, no matter how many books you read on that topic I doubt that you would be able to ride a bicycle successfully without practice. Explicit knowledge on the other hand is written text or spoken instructions that you can internalize and use on your own. My most important lesson is that in order to succeed you need to be curious and ask questions regarding your line of work. Most people are happy to answer your questions given that you’ve do some research by yourself first so that you are able to ask follow up questions. When you work as a trainee and keep switching functions you need to figure out what is important in order to succeed with your current assignment and the best way to do that is to listen to your colleagues. Listen to what they are discussing and when you start to make sense out of it start asking questions and see how you can bring new perspectives to the discussions. Because you have a privileged position in the organization since you get to experience how different functions interact with each other and you can therefore become a bridge between them and present your view and perspective. 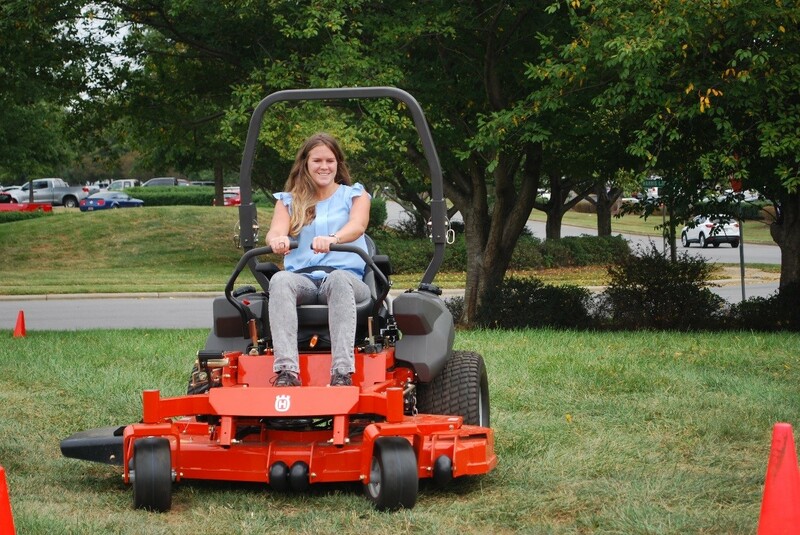 When I started at Husqvarna I had limited experience of working with outdoor power equipment but after a while all the different products started to make sense to me. My favorite questions for learning in the beginning was (and still is) “What is the application” and “Who is the customer” for a specific product. By asking that I could piece together why Husqvarna have certain products, where and to whom they are sold. Once I grasped that I could start discussing more in depth questions such as what changes should be done to the product range. Second, one way of rapidly making sense of your new assignments is to create structure and try to plan ahead even if you only have limited experience in the given area. Most likely you will need to revise your plan as you go ahead but just by forcing yourself to think about how you want to go about with a project will help you figure out what you need to investigate more. Because typically you are confronted with something that you have not done before but you are given a goal that you need to reach and what is expected of you. But by planning ahead and setting a structure you can work backwards from your goal and you can figure out different possibilities for how to succeed. Typically the only thing you control as a trainee is time, since you will most likely not get assigned your own budget for a project. Thus given that you can only control your own time, how should you spend it? First I will try to figure out as much as possible by talking with others and read any available documentation. Then once I’ve set my first draft plan I will discuss it with the person that I am to deliver a project to so that I can incorporate their expectations regarding the project and ensure that my plan supports it. Finally, an important lessons is that you need to be comfortable with working and living in uncertainty and how to do that is an example of tacit knowledge. For some it comes more natural than for others and they have no problem with moving to a new country or function and quickly adapting. My best explicit tip for managing uncertainty is that when you arrive in a new function or country is that you connect with your new colleagues and do not lament on what you had in your previous assignment, no reason to dwell on the past. So stay curious, structure your way forward, learn to live with uncertainty and best of luck with your future trainee endeavors! I’m finally back home again after a great training module in China, which included presentations, soft skills training, factory tours, nice dinners, etc etc. But before I left for China I made sure to enjoy my final weeks in Japan, which were just as good as the first ones. 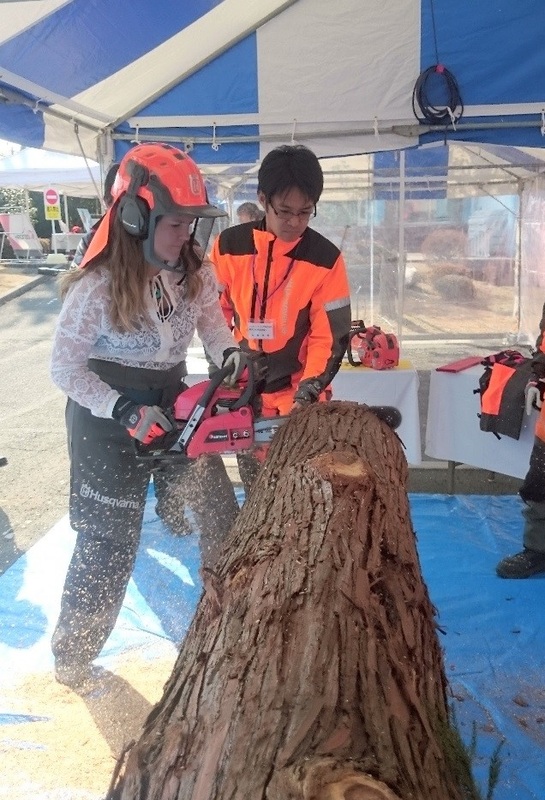 I visited a lot of suppliers but of course I also took the chance to discover more of what Japan has to offer outside work, which turned out to be a lot. 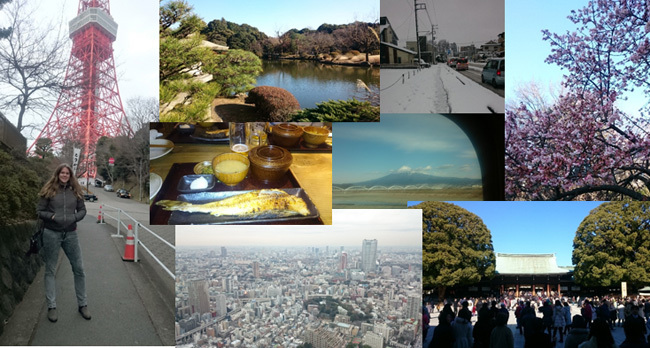 Sumo wrestling, theme restaurants (robots and Alcatraz), the world’s biggest fish market, karaoke, hot springs, mountain hiking or cherry blossom photographing were just some of the activities I spent my weekends on. 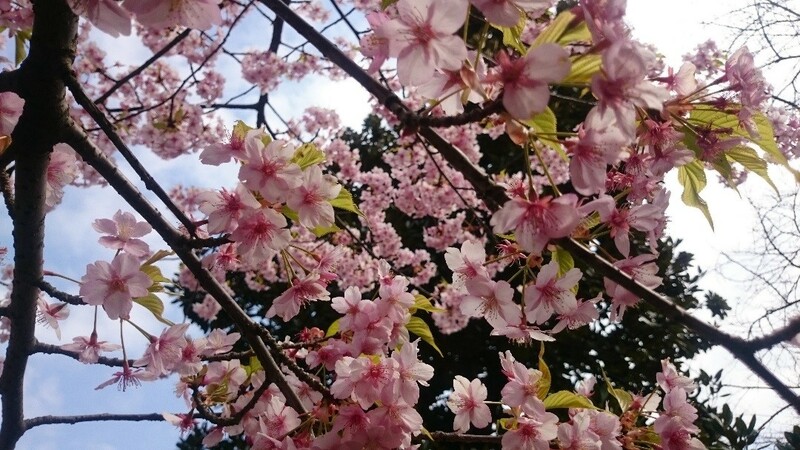 Like many people have discovered before me, spring time in Japan surely is something special and I was lucky enough to spot a lot of plum trees and early cherry blossom trees in full bloom before I left. Back home, I have just finished my second week on my new assignment in Brands & Marketing. This reminds me of my first assignment as a trainee, everything (well, most things) is new and sometimes I don’t fully grasp what people are talking about in the meetings. But I feel that I’m gradually picking up the marketing language and all its TLA’s (three-letter acronyms) and it sure is a very interesting area, especially since I come from Sourcing and haven’t had very much to do with this department before. So even if it’s a little difficult now in the beginning, I feel very excited about this assignment, which will be my last in the trainee program. Say yes to everything – well, obviously with some limitations and of course your schedule must allow it, but the best way to learn things is to practice them so take every opportunity you get to involve yourself in new tasks. If you stay curious and are eager to learn, the trainee rotations will be so much more valuable. Speak up – dare to ask when there is something you don’t understand, no one expects you to know a lot in the beginning. Also don’t be afraid to speak your opinion and question things if you don’t agree. Reach out to your colleagues and offer them your help – if you have some time over or a colleague is having a problem with something, ask if you can help them! Most people appreciate some support and the next time it might be you who need help. For me, it felt especially good during my first assignment when I could start to help people since I spent most of my first weeks (or let’s be honest, months) asking for help myself. Ask for feedback – through the trainee program you will have planned feedback sessions but I would recommend you to try to ask for feedback even outside these sessions. My experience is that most people find it hard to give constructive criticism, but I think that this kind of feedback is very important for personal development. After you have finished a big task or a project, ask the people involved if they think you could have done anything differently and make sure to remember the feedback for your next project. Learn how to utilize your network – one of the biggest benefits of being a trainee is undoubtedly the extensive network the rotations and training modules will give you. Knowing how to use this efficiently may help you in getting quick support or valuable input for your work tasks. Take initiatives – this probably goes without saying but I’ll put it on my list anyway. Have fun and socialize – very important! Work isn’t just about isolating yourself in front of an Excel sheet 40 hours a week, it gives you so much more energy and inspiration if you can chat and laugh with your colleagues over a coffee now and then. By interacting and having fun, you are also keeping your network alive and it might very well lead to some new good ideas or insights for your current project. Finally I want to finish by wishing all potential new trainees good luck in the final stage of the recruitment process and I very much look forward to see you after the summer! Think of the chair that you are currently sitting in (or if you are reading this on the go, think of your favorite chair). Someone designed that chair, someone put all the pieces together, someone had it displayed in a showroom perhaps. This means that before you got to sit down in a nice, comfortable chair, a lot of different things had to happen to bring that to you as a customer. If you were responsible for bringing the next generation sitting experience to the market, what would you do different compared to what is available today? 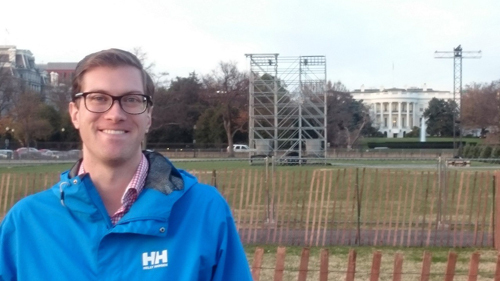 Me outside the White House, but what does the president think of his current chair? 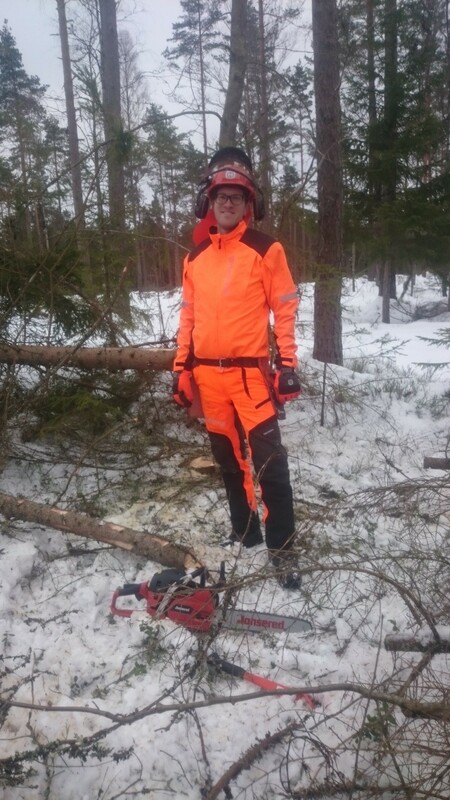 After 1,5 years at Husqvarna Group – working in Sweden, Malaysia and the US – I realize how complex this challenge is. Because the customer in Sweden might want something different from the one in Malaysia and the US, but you still need to find a way to cater to as many customers as possible without compromising too much on each individual customer experience. 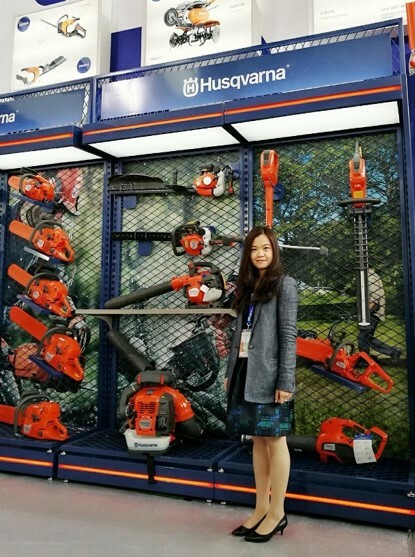 The good thing about Husqvarna Group’s trainee program is that I have gotten to meet with a lot of customers and I have been able to build a network within Husqvarna Group with people that can help me find a good balance when it is time to bring new products or services to the market. 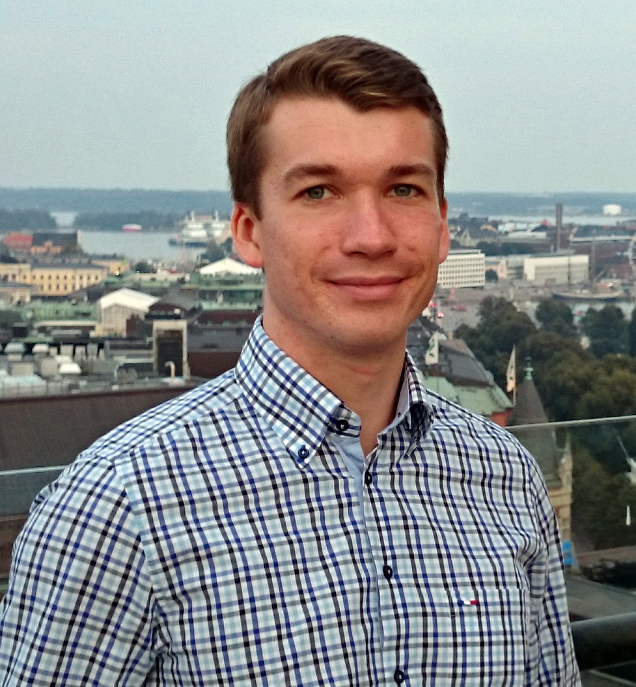 Like Andriy wrote in his blogpost this a an exciting time to be working at Husqvarna Group, because digitalization is affecting our industry like many other. So getting back into the chair, if you believe that the market is going to be fundamentally different from today, what parts of the existing value chain would you still use and what parts would be changed? One of IKEA’s greatest strength in their business model is you, the customer. Because you are willing to go to IKEA and buy a flat pack and assemble it yourself. In return you are able to get affordable and stylish furniture which to many and myself included counts as a good deal. Is this the best way to sell chairs or can it be improved even further? Amazon has been experimenting with drone delivery, what if the drone would deliver the flat pack to you or what if IKEA would re-engineer their products so that the chairs could be delivered and assembled by drones? Inspiration and chair examples together! If you are at the edge of your seat wanting to realize the next generation sitting experience, there are a couple of frameworks that you can utilize to try out your ideas. Two good ones that are easy to apply to most business scenarios are Porter’s five forces and in conjunction with that you can flesh out your new business model with the Business Model Canvas framework. By using frameworks, global trends, your network and ideas it is possible to find new possibilities and thereby improve the customers’ experience no matter if it is a better chair or if it is a better landscaping experience. But frameworks can only guide you to what kind of questions you should be asking yourself, before that can happen you need to find the inspiration for your ideas! For me traveling, meeting with new people or having drinks with friends, are some examples of how I might get new ideas. Because you find new ways of looking at existing knowledge and you learn new things in which you see potential business opportunities. Further this is yet another reason for why I enjoy working at Husqvarna Group, I feel that we have a great atmosphere that encourages new ideas and innovations in which we put the customer experience in the center. 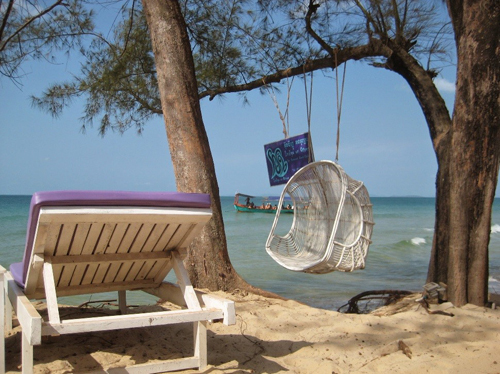 So lean back in your nice comfortable chair and start to think about how you can change the chair industry! Times flies. It’s almost the end of my international assignment in Arkansas USA. 6 months seemed to be a long period of time when I first got here, but right now I wish I would have 48 hours a day to extend my stay here. It’s been a blessing to work with this wonderful team of Husqvarna talents and live in the peaceful countryside of Arkansas. I have been reflecting a lot lately and I am glad to achieve a lot more than I expected in the past 6 months. I have concluded the following 3 tips to ensure such a fulfilling work experience. 1) A great plan and clear goal set are the prerequisite for a successful assignment. Before the assignment started I spent time with my manager going through the learning plan and performance objectives so that I could get a better understanding of what to expect from the job and what should be my delivery. From time to time I would go back to the objectives and make sure it is on track. 6-month is almost over now, I am confident to say I completed all deliverables as agreed at the beginning. 2) The only thing constant is change. The unexpected would always happen at work. It is very important to keep yourself flexible to adapt to different business needs. Because of an organizational change I am currently taking over a buyer’s responsibility while at the same time working on the original job descriptions of the trainee assignment. It was hard to manage the time at first but I believe you can learn the most from changes and challenges. The buyer’s job may seem to be very different from the original plan, but I got the chance to manage accounts of our sister companies overseas. As the only Asian here, I also try to create a better platform of communication for the Nashville office to our Asian counterparts. This overall is a great opportunity to look at the supply chain of this Group in a global scale, at the same time letting the Nashville team to understand about how to convey messages to our business partners in another culture. 3) Personal goal is as important as career goal. Try to do something different in a foreign environment. I personally had three goals for the time in US, 1) be a Chinese ambassador 2)try public speaking in the foreign environment 3)road trip. With that in mind I have been actively seeking opportunities to do these. 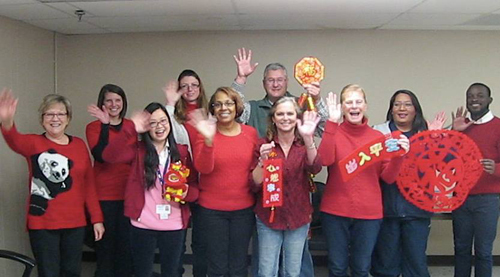 So far I have had celebrated Chinese New Year with my colleagues in office, speaking in a speech contest in Texas, and drove all the way to New Orleans by myself last month. This week I will have a sharing session at the local high school on the topic of East Meets West. Doing all of these made the whole experience even more remarkable. 10 more days I will be moving back to Shanghai for the last assignment in Marketing. It is going to be a new environment (we have a new office in Shanghai), new organization and new role for me. I can feel the butterflies in my stomach already. Meanwhile I am wrapping up my assignment here in Arkansas. It’s hard to say goodbye, but I am up for the new challenge, and again try to get the most out of it. Now, picture yourself in the very same situation, but the time and place are different. You’re in Shanghai and its 1990. There is no Pudong financial district yet to be seen, no 80+ skyscrapers and no Oriental Perl Tower (and definitely no KTV that Lisa enjoys so much) – only a green field of opportunities waiting for you to make them into life. You are given resources, money and as much freedom to innovate as you can carry (as long as the party approves, of course). Imagine the excitement to look at the blueprint of possibilities drawing themselves onto the canvas of a skyline to be. Do this and you will get a grasp of what it feels like for me to enter 2016 with Husqvarna Group. This year is the year! This year is when the topic of digitalization is even higher on company’s agenda. If you read my early posts, my elation really becomes self-explanatory. However, it wouldn’t be fair not to acknowledge how narrow my perspective was back then and how my experience as a Global Trainee – a jack of all trades wandering between departments and divisions – helped it to broaden. It became most apparent during my current assignment with Brands and Marketing, when I was fortunate to take part in two out of three key sub streams of the digital strategy development for the group bundled with several pilots that will be soon rolled out to selected markets. This brought me into the same room with people whose competence lies far beyond marketing alone. Numerous interviews and ideation workshops helped me to develop empathy towards our customers: both internal and external, to understand their needs and requirements they will place on services we develop. Just by reflecting on all those times people bought the word ‘data’ into the conversation, I can confidently say that my career as a Data Scientist at Husqvarna Group is secured for the years to come. It’s Huskvarna, it’s 2016 and the field is greener than ever! 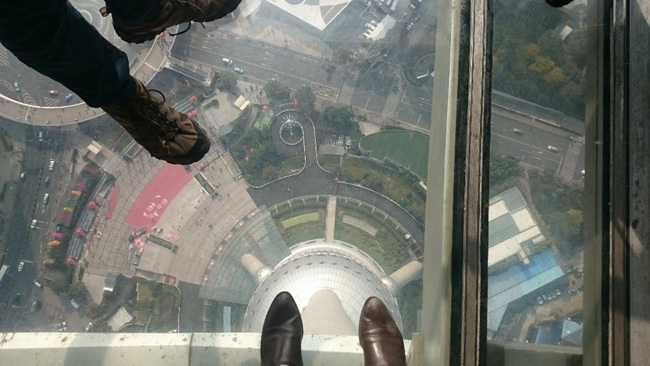 My time in Shanghai has now come to an end and it was with mixed emotions I left for Japan a few weeks ago. I already miss all of the new friends and colleagues I met in Shanghai and also the city’s fantastic selection of good restaurants, bars, nightclubs, etc. However, Tokyo has turned out to be just as amazing as I thought it would be and I cannot lie about how much I love the fresh air, blue sky and not-so-crowded-streets of Kawagoe. 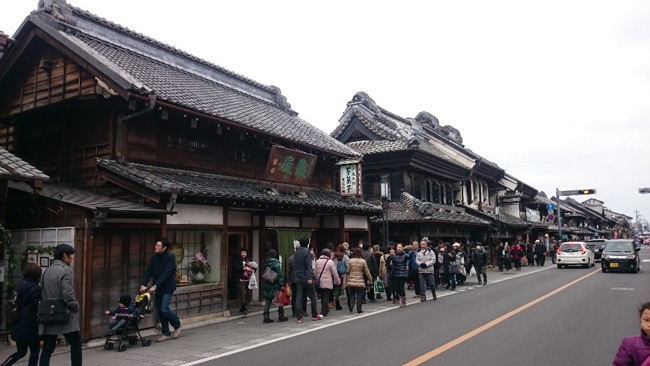 But coming back to Japan: At the moment, I live and work in Kawagoe, a small and quiet city in the outskirts of Tokyo. I am pretty much the only Westerner in this area (can count the other ones I have seen so far on one hand) so it feels really exotic to live here. In addition, people’s English skills outside the company are very limited and there is usually not much information provided in English so I have had to seriously sharpen my problem solving skills to get around. Sometimes it actually helps knowing some Chinese characters since many of them have the same meaning, but different pronunciation, in Japanese. However, Kawagoe is only a 50 min train ride from central Tokyo so of course I take every chance I get to visit this Asian metropolis during the weekends. It really is an enormous city, especially for a Swede, but the few parts of the city that I have had time to visit so far have left me feeling very impressed. The food, the shopping, the parks, the nightlife, the art and culture – Tokyo really has it all! Otherwise I spend the weekdays at the office in Kawagoe, working on my different projects. I have also had the opportunity to participate in supplier visits in different areas of Japan. During my second week here, I got to join some experienced colleagues in rapid plant assessments at two supplier sites, something that felt very interesting for me and which I learned a lot from. After hearing so much about lean production, 5S, Kaizen, etc. during my university studies, I was extra excited about seeing how (or if!) it actually works in the country where these concepts were born. Of course, it also feels pretty good when you get the opportunity to ask challenging questions to a Japanese CEO. The next time I write here, I will be back home in Sweden again, working on my last assignment which will be within Brands & Marketing with focus on the Automower. Although I look forward to coming home and going back to my normal life again (there is no place like home, right? ), I feel very grateful that I had this opportunity to live and work in China and Japan. It has truly been an amazing experience and I feel that I have grown a lot, not only professionally but also personally. Moreover, I have been lucky enough to meet so many wonderful people and I sure look forward to seeing everyone again in the future!